The holidays are here to stay here in Dallas and it’s time to start preparing for house guests and celebrating the holidays in your home. 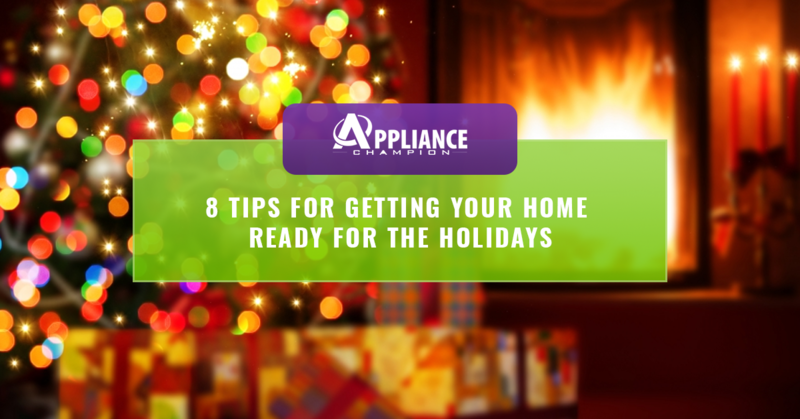 Even though getting your home ready for the holidays, especially if your mother-in-law is a bit judgemental, can be overwhelming, you can be ready to receive guests and celebrate the most wonderful time of the year easily; today, on the Appliance Champion blog, we are giving you some tips for how to do so. Getting ready for the holidays involves doing some of those chores that we hate as well as those that we love like decorating and homemaking. Keep reading to learn more. It can be easy to assume you must spread Christmas cheer to every nook and cranny. However, you don’t, really. If you have time, by all means do it all, but to alleviate some stress just focus on the main areas such as your living area, family room, kitchen, entryway and porch, and main bathrooms. Start by decluttering them, doing any cleaning needed, and don’t forget to deck the halls with garland and hang the mistletoe! One of the best parts of the season are the smells! Use holiday-scented candles, potpourri, oil burners, flowers, or even fresh cut pine to create a home that smells of holiday cheer. Even though it can be easy to go crazy with yummy smelling candles, having too much scent or too many different smells can be overwhelming — choose your scents wisely! As you set the main meal table, don’t forget to get creative with the decorations! Invest in decorative table runners, customized place cards, and even holiday-themed plates. You don’t have to break the bank! Many discount stores offer beautiful, cheap decorations that won’t put you in debt, but will add a little sparkle and Christmas cheer to your table. This is one of those tasks that is less fun, but completely necessary for getting ready to host for the holidays. You can clean the entire house, but if your fridge and oven look like a crumply, sticky, or ashy mess then it can taint your home’s appearance. Unfortunately, guests will be getting into your fridge. While you clean these areas, don’t forget to wipe out your microwave and throw out those old salad dressings from 1999. What do we mean by prepare for houseguests? If you’ve done the cleaning then this should be enough right? Not necessarily. For a time, some of your family and friends will call your house their home and will find comfort there. Don’t forget to put out the clean towels, plenty of blankets, and pillows, but consider small touches of hospitality. Little thoughtful extras can include anything from setting out a few more decorative pillows, some chocolates on their pillow, and setting out coffee table books. Another chore that must be done is cleaning the floors; whether you love taking the vacuum for a spin around the house or loath the very sight of your mop, this chore must be done, because nothing is worse than stepping other people’s crumbs and dust-bunnies. Get this task out of the way as soon as possible and reward yourself with some heart-warming hot chocolate. Nothing evokes feelings of cozy Christmas cheer than a fireplace. Before your guests arrive light your fireplace. If you don’t have a real or gas fireplace, then consider buying a portable one. If you don’t have the space for one more thing in your living room or family room, you can make your home extra inviting and cozy: bring out those holiday-scented candles and light them, set out plush blankets for late-night snuggling, and fluff holiday-inspired pillows for post-meal reclining. Lastly, we suggest calling for appliance repair and maintenance weeks before your guests arrive. The holidays put a lot of wear and tear on our appliances and this little extra work can put some maintenance issues over the edge to become full-on issues that need repair. Don’t be caught with a broken oven or stove, a leaking fridge or dishwasher, or a stubborn washer and dryer. Get your appliances up to snuff when you call Appliance Champion. 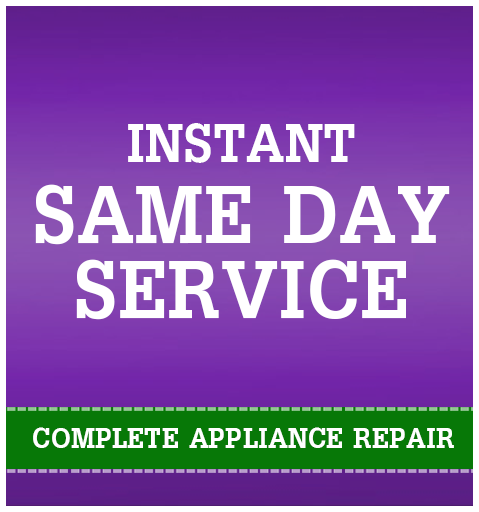 We are your same-day appliance repair provider for Watauga and the Dallas-Fort Worth area.